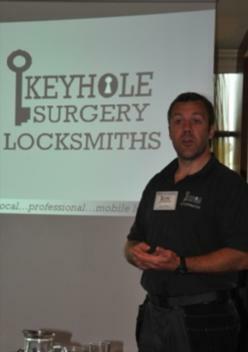 Andy Wilson explains to thirty other business professionals the ethos of Keyhole Surgery Locksmiths. He talks about our clients: commercial, domestic and vehicles. Put Our Mobile in Your Mobile – you never know!